Up to 12 months, as low as Rs. 2,825 per month. Solos Pakistan intorduces for the first time in Pakistan, a LED modular lighting by Nanoleaf. 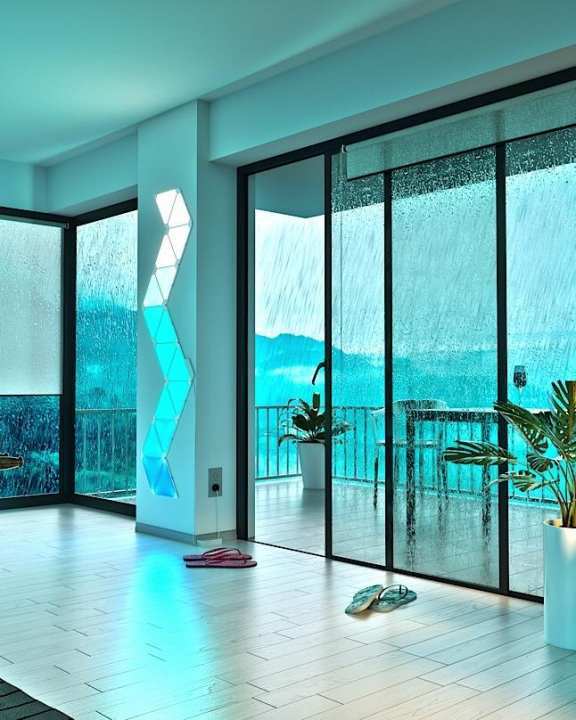 The thin LED panels can be connected in any design you want and are colour-changing, supporting up to 16.7 million colours! Aurora looks great everywhere, bedroom, drawing, dining and even kitchens! It's not just a light but a piece of art. Lights are dimmable and also bright enough to be used as a piece of art. It has a lifetime of an incredible 25,000 hours and are highly energy efficient. It works with Apple's Homekit and Android and can also be be voice controlled by Siri, Amazon Echo and Google Assistant.